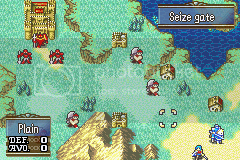 KOT Patch -- Fire Emblem 8 Reimagined! Up to chapter 5 playable now! 1. When do you want the next iteration of the KoT Patch? 2. What did you think of C6's reveal? Back to the drawing board, mate! Where there's a Wil, there's a way. FEE3 video is out! Enjoy it in all of its glory! For those of you with good memories, you may have remembered the first attempt of this hack, close to a year ago. Some of you even over-reacted to some joke screenshots I made of it, and still others cheered me on. My progress was halted by real-life interruptions (and technically I'm about to have more) and the fact that all of my progress was erased when the computer I used fried and had to be sent in to be wiped and fixed, but I never did give up on the dream to make my own ROM hack. I began again back in March 2013, and while it is still only partially completed, I am well on my way and have something to show for my efforts, so I'm definitely content. This is and will most likely remain for the most part a solo project, so it will take time, but I truly hope that you guys enjoy it, and PLEASE let me know of any bugs you find with it or anything that severely turns you off. 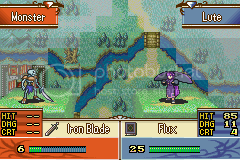 This ROM hack is my vision of Fire Emblem, but I am making it for you all to enjoy, and I take great satisfaction and pride in giving you guys the best game possible. As I will be leaving to move to Texas on June 15th or 16th for graduate school, I am releasing my initial patch now. Note that I have personally playtested this patch extensively and ironed out as many bugs as possible. However, if you note any bug or any mistuned content, do NOT hesitate to tell me it -- this is technically a beta patch, so changes will be made if necessary, and as soon as reasonably possible. So what is the KOT Patch? 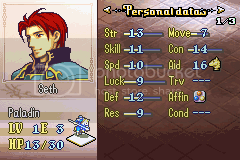 It's name is similar to the Shin Patch for FE4, and for good reason; it was what I considered to be an awesome hack, and it is the inspiration for this whole project. 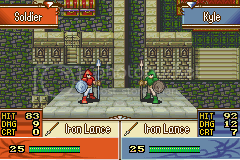 I want to keep the story and the flavor of FE8 intact, while at the same time balancing classes, revamping the experience, and upping the challenge, all while presenting the best level design I can. This was and still is my first hack, and it is a large undertaking for a solo project, but it's challenged me and (hopefully) made me better. In the following sections, I will provide you with a link to the (beta version of the) game and show you all of the changes and new additions that makes the KOT Patch so special. Sorry for the large delay in the screenshots! Turns out lab work and maintaining a rent keeps you busy (who knew?). [spoiler=Click Here to See]The KOT Patch does make heavy use of ASM hacking, so there are a fair number of engine changes that come with the game. Most of them are with battle formulas, largely designed to balance stats/classes, but for the most part the game retains the exact same feel. They should all be here, but I might have forgotten one or two minor ones, so please forgive me. > SKL now provides 5 HIT per stat point, up from 2. Still provides 0.5% crit per point. This change is designed to make low SKL particularly relevant and allows the stat to be close to the value of STR in terms of offensive potency. > SPD now provides 4 AVO per stat point, up from 2. 4 AS difference for doubling is unchanged. This change is designed to keep AVO rates similar to that of HIT rates granted by SKL. The buff seemed necessary to the dramatically lower incidence of doubles in the KOT patch. > LUK now provides 1 HIT, 2 AVO, 1 DGE, and 0.5% Crit per point. 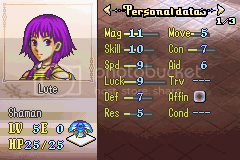 This change does two things -- allows CRT to scale the same as DGE throughout the game (meaning you'll need LUK both to crit and more LUK to keep enemies FROM critting), and makes LUK a valuable stat to have. > Staff hit is now 45 + (MAG*3) + (SKL*2) + LUK. 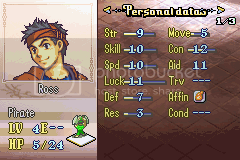 Staff avoid is now (RES*3) + (SPD*2) + LUK + DISTANCE*2. These two changes are designed to make SKL more useful for staff users. 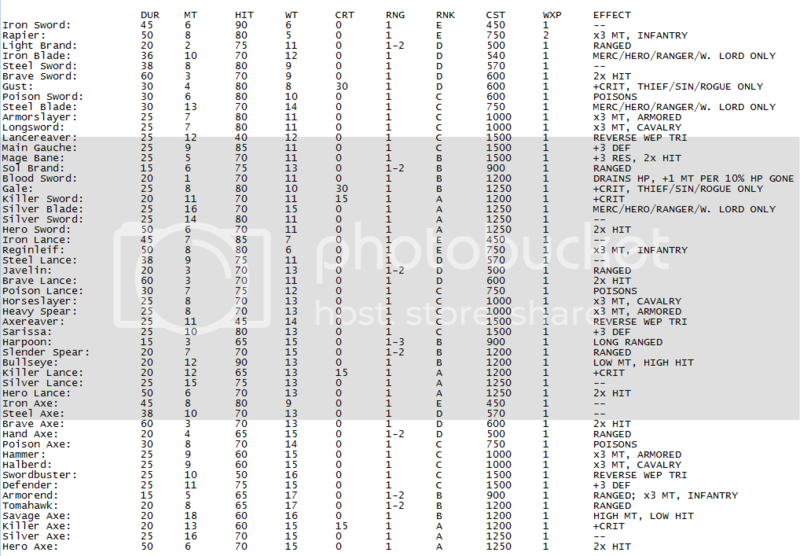 In addition, while the range of status staves is still MAG/2 (minimum of 5 range), note that the old formulas had SKL counteract the decreased accuracy caused by increased range, these new formulas do not; this means that while the range of status staves will gradually increase as the game goes on, the hit penalty from range will not be mitigated in such a way, making long distance status application possible in late game, but a risky venture. > Poison now does 5 damage. Poison is now actually relevant and poison weapons are now not completely terrible. > Class power changes have been made, which essentially changes the EXP those classes get/give for killing/getting killed. Most classes with lower class powers have been bumped up to 3, with the exceptions of pre-promo healers and trainees (obviously). This is mostly to compensate for the fact that thieves no longer have terrible combat and monsters such as revenants are just as potent as their monster counterparts. Be afraid. Be very afraid. Or not. > Female and male unpromoted mounted AID is now always 25 - CON. Promoted mounted AID is now 30 - CON. 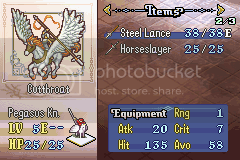 These changes are designed to make female mounted characters not have a severe handicap for rescuing, and allows promoted units to have an increase in AID roughly the same as the average CON increase on promotion. Now the horses GET DA POWA on promotion too, not just the riders. 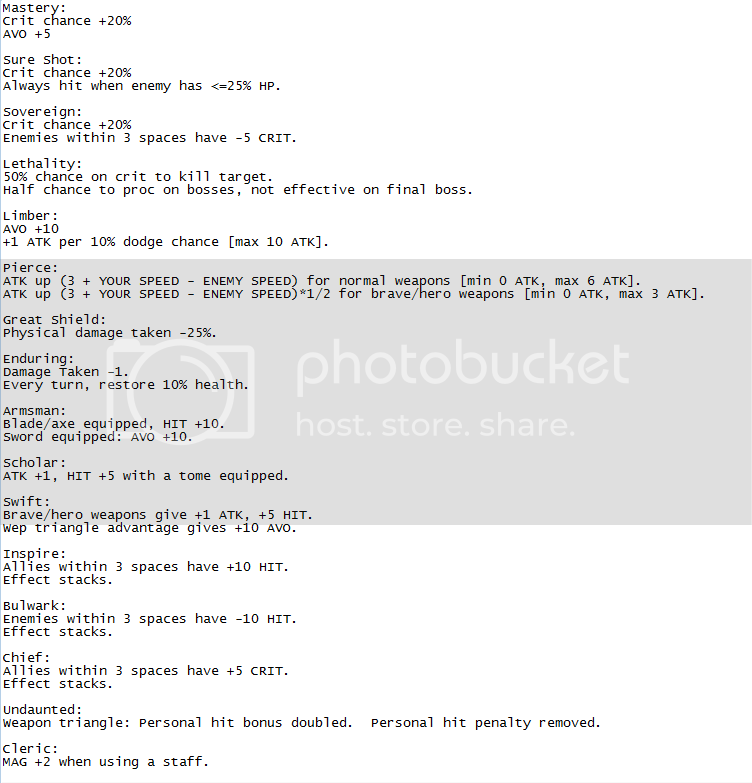 [spoiler=Click Here to See]Some planned late-game enemy-only weapons are not included. Also note the lack of S-ranked weapons -- don't worry, at least Eph and Eirika will get them. [spoiler=Click Here to See]Only changed staves and ones found in or before Chapter 5 are included. [spoiler=Click Here to See]These do not include enemy-only classes. [spoiler=Click Here to See]All of these abilities should now be properly integrated into the game, although there is nothing in the in-game text to indicate that they exist. This will be addressed in a future patch. [spoiler=Click Here to See]These are not yet implemented, but will be once I get enough of the game made that promotions will actually occur. [spoiler=Click Here to See]These are simply approximations/rough averages that don't take promotion bonuses into exact account. There to give you an idea of each character's strengths and weaknesses. Only changed characters are included so far. [spoiler=Click Here to See]Only unpromoted enemy classes are included at this time. Enjoy the patch, and I wish you both luck and skill on your journey to Chapter 5! Those are really tiny promotion bonuses! Can you explain why? 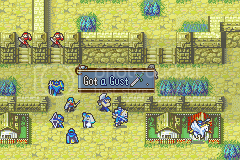 I stopped reading at those enemy def growths. Tone them down, man. Buffing def hurts gameplay. Reason is helpless before force. Eat it, nerds! A) I wanted to dissuade people from promoting early by not giving too much on promotion. Every single class gets an ability on promotion (Paladins get a +10 Hit aura, Heroes get +10 Hit when wielding axes/blades and +10 AVO when wielding swords, unmounted magi get +1 ATK/+10 Hit, etc. ), and if I kept the same promotion bonuses, the power jump would be a bit too jarring. I also plan to increase the minimum level for promotion to 15 in a later patch (it is still 10 now). B) Because I increased growths by ~14% on average, these promotion bonuses are that low so that characters do not go above any class caps at 20/20. This allows every character to choose either promotion option without "losing" stats due to stat cap ramming, if that makes sense at all. 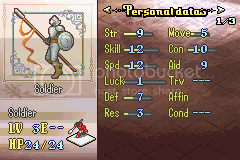 There is some stat inflation over the original FE8 for both characters and enemies, and enemies will have slightly lower levels than your party, so that DEF isn't nearly as bad as it looks. I just ask you to give it a shot and then tell me if you think enemy defense is too high, and if so, I'll definitely make the appropriate changes. I've played through all of the chapters myself, and low ATK characters versus high DEF enemies (with +DEF weps) designed to hold chokepoints are the only time where you'll tink (or come close to it). It's not like enemies are defensive juggernauts. EDIT: I will be using your comments to see how I can improve this hack, so I am listening. For your first hack, well, we all have to start somewhere with something but what makes this uninteresting for me is that there's nothing different here in terms of story or characters. Largely the game remains the same, so this isn't really a reimagining so much as a rebalance. You're mostly tweaking things to how you see fit. I'd be much more interested in seeing a reskin of some sort. Even if people seem to have a stigma against it, but everyone has to start somewhere. This looks really good but i have alot of questions and concerns. 5 hit per SKL seems a bit high but i'll take your word for it if you say it's balanced. 5 damage for poison also seems a bit high, but i can live with it. the rest of my questions are about the weapons. while i'm uncomfortable with there being no divine weps, i can deal with it. you should also put a note next to the newly implemented items that describes their effect. 1. i still see no incentive to use blade weapons over swords, they're heavier and less accurate. 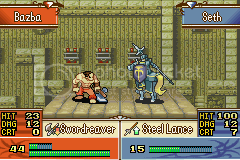 it seems safer overall to just use silver ans steel swords. 2. what do the following weapons do? 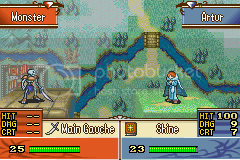 gust, gale, main gauche, sol brand (stronger light brand? ), blood sword (hp absorb?) gale (stronger gust? ), hero sword (stronger brave sword? ), sarissa, harpoon, bullseye, defender, armorend, savage axe, flat bow, miasma (poison magic?). everything else looks great though. i'll wait until you finish one of the character routes before i try it. i like to play from start to finish. Sorry for the delay in responding to you! I forgot to add the effects of the weapons in their description, so I'm working on that now and will update the OP accordingly. But I can answer your questions now. 1) SKL change and poison damage are experimental, but both seemed to work out alright when playtesting them. With that being said, you aren't the only one concerned about them being OP, so I'll be watching for comments on them. There are a couple of poison weps in the first few chapters, so you can get a feel for them. 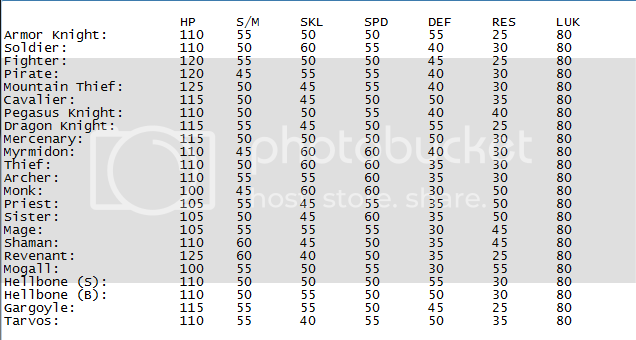 2) For any given weapon rank, blades have +2 MT and -10% hit over normal swords. They ARE merc/hero/ranger/wyvern lord only, and all of those classes will be able to wield them (mercs -- iron and steel blades) with little or no AS loss because of their high CON. Mainly used in early game to provide a distinction between mercs and myrms and in late game to provide a distinction between heroes/SMs and wyvern lords/falcoknights. 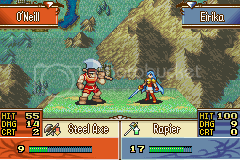 3) Eirika and Ephraim should get their S rank weapons, but they'll mostly be used to slay the Demon King. My main concern is that they'll pretty much be used to trivialize content at will while they exist. If necessary, I can always use them -- I haven't actually removed them yet (although I stole Excalibur's animation for Miasma), but I plan on not using them. 3) Gust/gale -- Lower MT, but 30% crit; thief/sin/rogue only. 5) Blood Sword -- My baby. Not only has a Nosferatu effect, but gains 1 MT for every 10% health you are missing (this bonus calculated at beginning of combat). 6) Brave/Hero Sword -- 2x attacks; split it into two tiers (i.e. changed slim weapons into something you might use). Designed to be effective against magic users, who have low DEF. 7) Flatbow/Longbow -- 2-3 range bows; again, split into two tiers. 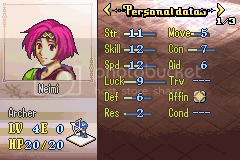 Allows me to give Neimi a 2-3 ranged option without it being too powerful. 8) Main Gauche/Sarissa/Defender -- Very low MT, but high hit and gives user +5 DEF when equipped. Mainly used to make users tankier to hold chokepoints or survive enemy phase. 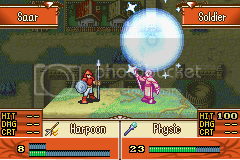 9) Harpoon -- Since lances don't get specialty weps like blades/gust/gale/etc., they get this, a specialty ranged attack. Lower MT than slender spears, but an awesome 1-3 range. Basically used to wail on magic users without eating a counter. 10) Armorend -- Since axes also don't get specialty weps, they ALSO get a specialty ranged attack. Lower MT than tomahawks, but does 3x damage against knights, cavalry. Hence the name ARMOR - END/ARMOR - REND. 11) Miasma -- Indeed, it does poison. 12) Bullseye/Savage Axe -- Simply more accurate (lower MT)/less accurate (high MT) options for their respective weapons. I'm downloading now, the fact that you have asm is impressive, I'm really excited to try this. SPD gave 2 avoid per point before. Not 3. Sadly, you can't experience all but one of the ASM hard-coded abilities in the normal course up to chapter 5, since they're all for promoted units. You can, however, manipulate Inspire (Paladin ability -- all allies within 3 spaces get +10 hit); all allies within 3 spaces of Seth get +10 hit, which I took advantage of personally playing this. 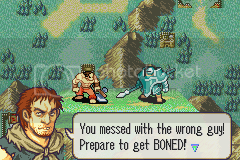 @Hawk King: Thanks for pointing out the typo. Fixed. It seems like you've sacrificed a huge degree of variety in unit stats. Units don't seem to be specialised at all, with even the slowest unit you mentioned being less than 4 speed slower than the fastest unit. In fact, the same is true for pretty much all stats except for DEF and RES. Units are not even allowed to vary too much in movement. I have no doubt that this hack is very well-balanced. But it looks like that balance is achieved by removing all specialisation and variation. In my eyes, that's not what balance should aim for. Even the skills are all fairly dull variations on "hit, crit, avoid boosts". I find the ASM skills pretty interesting, I'll check this out for sure when I have time. Also well-planned rebalancing is always welcomed in my book. Ill hafts check this out tonight, I'm interested to see how these Def buffs work out. although i do have a question, why is the brave bow 30 and the other brave equipment 60? those armor boosting weapons sound OP. i mean the characters you're gonna give them to already have good DEF, no need to make them invincible. maybe +2 DEF would work better. less abusable. 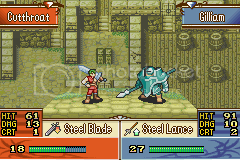 as for the lances and axes not having special weapons, you could always implement the greatlance and poleaxe weapons from FE10. 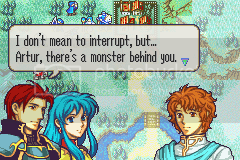 this last thing is kind of a nitpick but in the prologue, the soldiers refer to valter too casually. he is their superior. 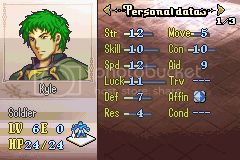 shouldn't it be lord valter or sir valter? I have made minor changes to the ROM; mostly bug fixes and small difficulty changes. > Brave bows and hero bows now properly have 60 and 50 uses, respectively. They weren't this way because I forgot to include them when editing with Nightmare; honest mistake (and thanks for pointing it out!). > Main Gauche, Defender, and Sarissa now have 2 more MT, but only give +3 DEF. 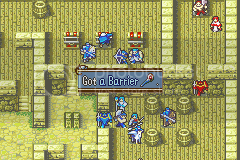 > Mage Bane now only gives +3 RES. 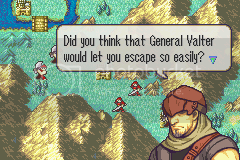 > The glory of Valter is now properly reflected in the in-game text. > There have been minor nerfs to C5's difficulty. 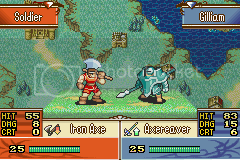 Namely, the soldiers now are two levels lower and have steel spears instead of iron spears, causing them to double considerably less. 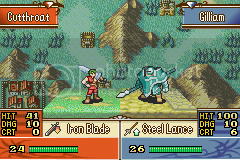 In addition, the wyvern riders now have iron spears instead of steel spears. > Rapier and Reginleif now properly have E rank requirements. 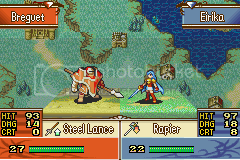 > Fixed a minor graphical error where Eirika's bases are reported incorrectly in the cinematic accompanying the title screen. 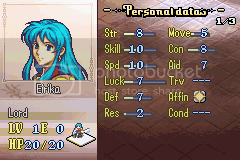 I am updating the UPS file now, because the last change ends up screwing up Eirika's stats for existing files and because the time I have to fix existing bugs in the next couple of weeks is limited. I deeply apologize for any inconvenience that this causes, and I got out the UPS file ASAP to minimize the irritation caused by this. EDIT: Elie, I'm moving to Houston, TX. Normally I'm not very attracted to balance patches and all, (because I prefer to see hacks with custom events, and mugs and a completely original story) but I am very impressed with the ASM stuff done as far as skills and the weapons go. Couldn't you just progress past chapter 5 and promote people to see the skills be used? You very much can, since the skills are hard coded to those particular classes (and I have used Nightmare to change Seth's base class on Prologue and then tested them); you simply have no chance to promote and see any of them besides Inspire (paladin hit aura) before you finish Chapter 5.
alright i understand now. well done though, adding new skills and such is dope, and most people never actually do that. I'm genuinely not sure if you're being sarcastic, so I'll just respond as if you're serious. No, not really. Since the ASM code only works for specific classes, I use Nightmare to change Seth's class as necessary (instead of, you know, manually editing hex). 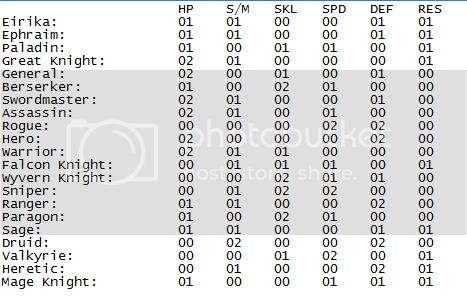 I then use No$GBA Debugger to check that the ASM runs right, including making sure that the section of code that says "If active character is X class, run the code for this skill" that I basically copy pasta'd from what the IS programmers used for Sure Shot/Great Shield/Pierce functions properly. EDIT: And thank you, fuzz94. Sadly, I am so poor at artwork that most of what I draw is limited to terrible renditions of what is supposed to be stick figures, so having full-blown custom mugs is out of the question. I could probably swing the events and storyline, though. On that note, I might as well give a juicy tidbit I have planned for the next version of the patch. 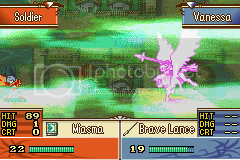 I've always wanted to design Chapter 6 so that shamans appear on the map and cast a spell that brings fog of war and/or reinforcements, either of which can only be stopped when those units die. Done right, I'd think it make for an awesome, fun, and intense chapter. Normally, I don't touch patches, but if you can implement this, I will make an exception. that should be easy enough; just link their death quote event IDs to a turn event that does FoW and reinforcements. 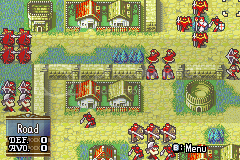 those enemy def growths and bases are seriously ridiculous. they already have >100% HP growth on top of that.